With The Works you get more than just an oil and filter change. 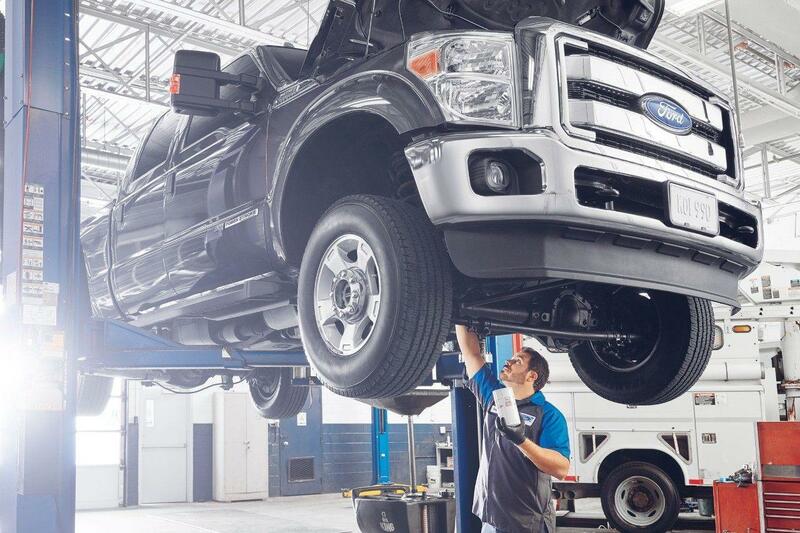 It’s our complete maintenance service that includes a tire rotation, up to 83-point inspection and a Vehicle Report Card that lets you know exactly how your Ford is running. Every time you come in for service, a Ford-Trained Technician will check every hose, belt, fluid and important component there is. It’s all part of our 83-Point Inspection. If something isn’t performing the way it should on your vehicle, your Ford Expert will spot what other garages might not. 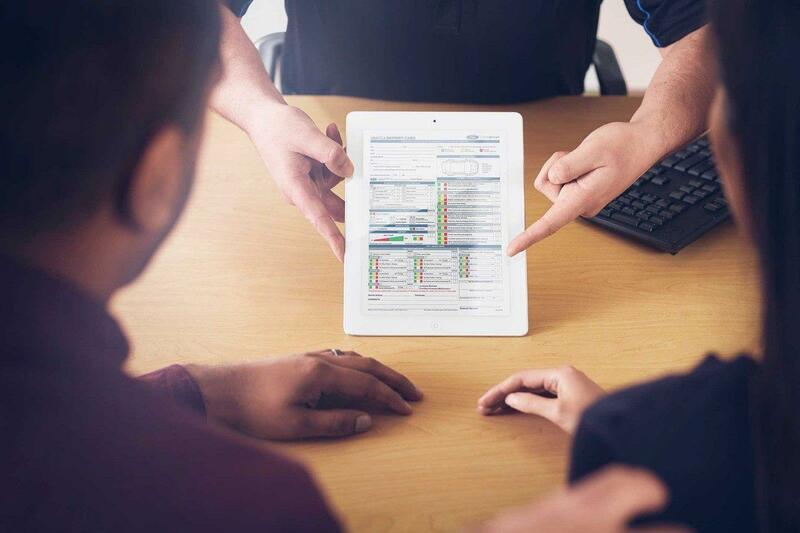 Every time you come in for service, you’ll also get a Vehicle Report Card explained to you one-on-one by a Ford Advisor so you know exactly what’s going on with your Ford. Drive a diesel? Then you need The Diesel Works. 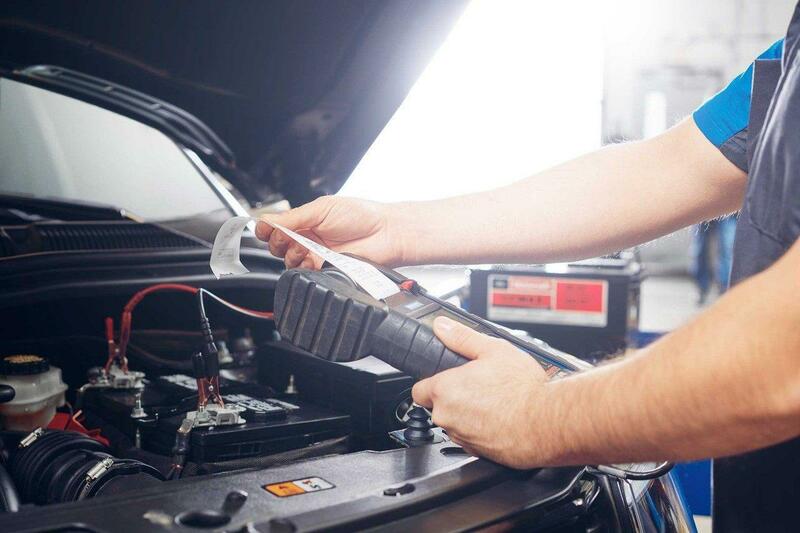 It’s our complete maintenance service that includes an up to 87-point inspection performed by a Ford-Trained Technician, and a comprehensive Vehicle Report Card. Then you can be sure that every inch of your Ford has been checked out and is running right.